The award extends maintenance and design work for littoral combat ships, a smaller cousin to the destroyers BIW has built for decades. The Department of Defense has awarded General Dynamics’ Bath Iron Works a $33.6 million contract to extend work on a class of smaller warships. BIW was awarded the work by the U.S. Naval Sea Systems Command for support services for littoral combat ships. The yard received a contract in 2014 to become the “planning yard” for the Navy’s two classes of littoral combat ships. BIW was responsible for handling on-board and in-shore maintenance, ship alteration design and other material support for the ships. The initial amount awarded to BIW was $9.8 million but the contract total would rise to $100.4 million if all options were exercised, according to the Department of Defense. The yard is in the fourth year of a five-year contract. This award is for the final year of that contract. BIW has built Arleigh-Burke destroyers for the Navy for decades, and is currently building its third Zumwalt-class stealth destroyer. 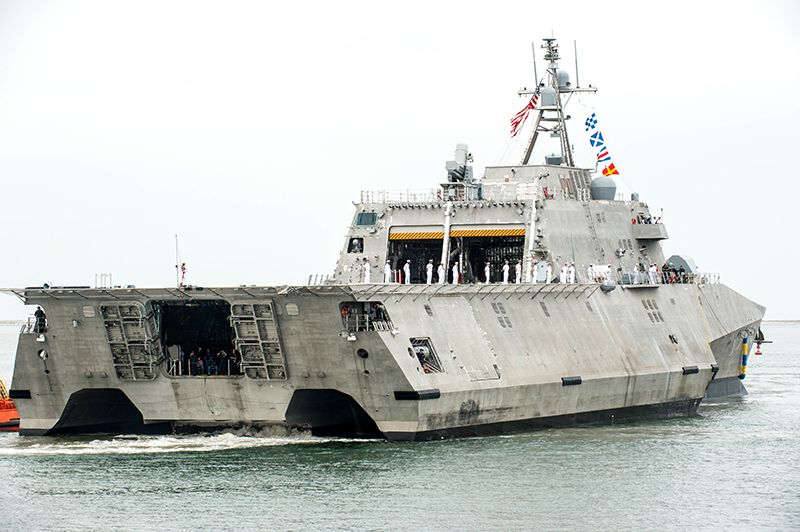 Littoral combat ships are smaller and designed to manuever in shallow, coastal waters rather than on open seas, like the bigger Arleigh-Burke and Zumwalt ships. BIW is one of Maine’s largest private employers, with roughly 6,000 workers.